All the Cearamic Tiles Are 4 pcs. 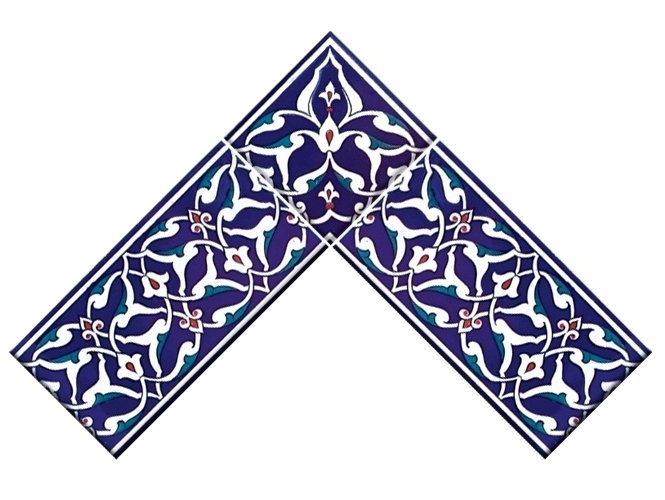 They are all repeted design ,could use individually or more.The designs are from Iznik Tiles.The size of the Tiles are 20 cm by 20 cm (8 inc by 8 inc).So 4 of them are 40 cm by 40 cm(16 inc by 16 inc) Borders are avilable.Please Contact for more Designs for borders. We Do Not Ask Your Credit Card Details In Order Form.